In our last blog, we outlined five of the essential things you should bring with you on every hike. Packing wisely ensures that you have everything you need with you to fully enjoy your outing into the wilderness. Join Killgore Adventures as we highlight five more things you should always have with you on your day hikes into Hells Canyon and beyond. In part 1, we covered backpacks, clothing, food and water, navigation aids, and emergency supplies. All of these items should be tailored to how long you’ll spend outdoors on your hike, and when and where you’ll be hiking. For instance, if you’ll be hiking all day and there’s a chance of rain, bringing extra snacks, a waterproof layer, and a way to make a small shelter is a great idea. However, if you’re doing a quick two-mile loop on a warm morning, you might only need a light snack, a light fleece, and some extra water. Let’s explore five more essentials you’ll need for your next outing. You can leave your razors and shaving cream at home for your next hike, but you’ll want to bring some things to keep you clean while hiking. Hand sanitizer is a great option, as is a biodegradable soap. Bring menstrual products if need be. Also, think about taking care of your skin. Sunscreen and chapstick with SPF is a vital part of keeping yourself from getting sunburned while hiking. You’ll also want to bring sunglasses and a hat. Finally, consider bringing bug spray depending on when and where you’re hiking. If you’ll be out for a long time and might have to defecate, you might also consider bringing a small trowel, toilet paper, and a plastic baggy to pack your used toilet paper out in. There’s no need to lug your toolbox out onto the trail with you unless you’re building a new network of trails. Instead, keep it light and simple. Most people carry a small pocket knife with them. This is great for opening packages, cutting cord, or breaking down kindling. A multi-tool is also great for longer hikes. You might also consider keeping other tools with you. You can wrap a few feet of duct tape around your water bottles that can be used to patch bags and clothes. Zip ties are also handy in a pinch. You don’t have to travel with just the bare necessities on your hike. You’ll want to enjoy every step of the way, so consider bringing a few items that add to your experience. A camera is essential for some, especially in a place known for its scenic beauty like Hells Canyon. Others bring sketch pads and art supplies with them so they can paint or draw the landscapes that they view. Binoculars are a great addition to your day pack, as they allow you the chance for bird watching or to view wild animals from a distance. Finally, it’s always a good idea to pack a headlamp or flashlight. If your hike runs late into the day, you’ll appreciate being able to see where you’re going. Even on short day hikes, it’s important to have some personal items with you. You should always keep your cell phone nearby. Most people use their smartphone to take photos, but it’s also an invaluable tool should you or another hiker get lost or injured while traveling. Additionally, keeping an ID and some cash on hand is also helpful. One of the most important things to bring with you while hiking is a positive attitude. Yes, the trail might be long, and yes, your feet might start to hurt, but you’re exploring a unique part of the world. Any hike is the chance to reflect on your place in the natural world and connect with those around you. 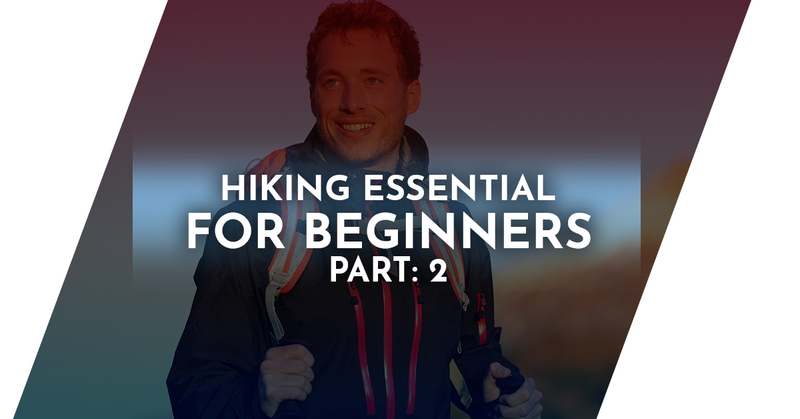 Approach each hike with a learner’s mindset and you’ll enjoy your adventure all the more. Ready to explore all that Hells Canyon has to offer? Then it’s time to book a trip with Killgore Adventures! We offer amazing ATV tours of some of the most scenic parts of the canyon, as well as our famous jet boat tours up the Snake and Salmon rivers. Find the right expedition for your and book with Killgore Adventures today!